It’s a big idea that takes a little getting used to but is already working successfully all over the world. Now demand response is arriving in time for the coming Australian summer. ARENA and the Australian Energy Market Operator have joined forces with companies from across the energy sector to bring forth ten exciting projects from eight innovators, spanning New South Wales, Victoria and Queensland. From retail Goliaths with millions of customers to agile startups launching unique technology into the market, ARENA’s Demand Response funding round has flushed out some truly bold ideas. Sometimes the cleverest ideas are so subtle as to be unnoticeable. United Energy is a ‘poles and wires’ electricity distribution business in Victoria that services more than 660,000 customers in Melbourne and the Mornington Peninsula. It is proposing to slightly reduce voltage at substations across its network, and use smart meter voltage data at customer and substation locations, to ensure the reductions are done in a precise and controlled manner. This project draws from more than 660,000 customers across 47 zone substations. Each of those customers will have their voltage reduced by an average of 3 per cent during a time when peak demand surges and the system is endangered. Appliances will not be jeopardised and customers will not even notice. While it’s not advisable to run the system at lower voltage for extended periods it can be done harmlessly for brief windows. When it comes to demand response few can claim the experience or expertise to match EnerNOC. The American company has made itself into a world-leader when it comes to leading demand response projects in places such as California. 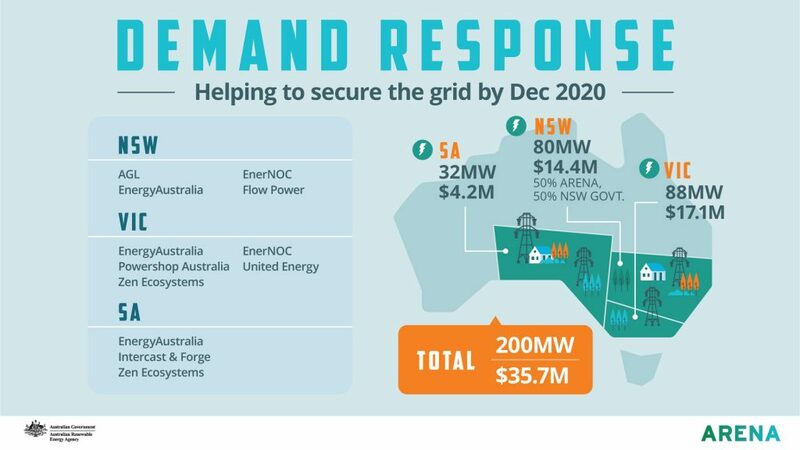 EnerNOC will build a 20MW reserve in NSW, made up of commercial and industrial businesses, which will respond within 10 minutes of receiving instruction from AEMO that a demand response event is beginning. EnerNOC will also provide 30 MW of response in Victoria and SA. Industrial and commercial businesses will participate and EnerNOC’s equipment takes a targeted portion of usage from each participant in a pre-planned fashion when a demand response event happens. Businesses such as paper manufacturers, metalworkers and glass manufacturers will all be involved. 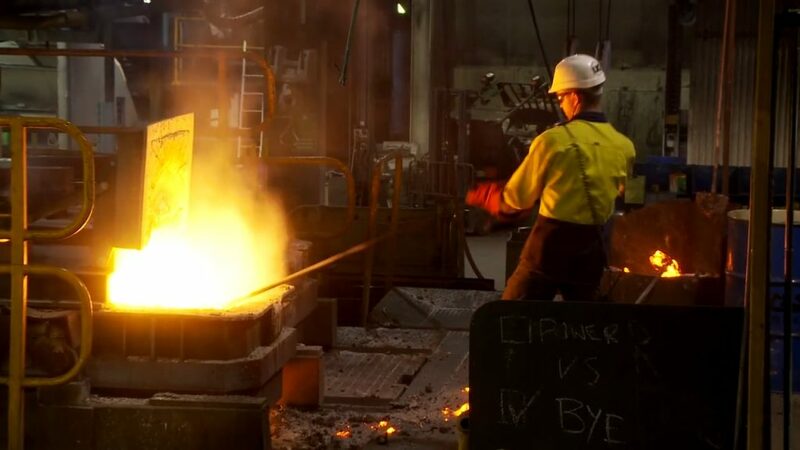 Among all the projects selected, Adelaide company Intercast & Forge stand out as different. They are not a participant in the energy sector (beyond being a customer) but as a large plant that manufactures metal castings they are a customer of significant size. This local business has installed sophisticated energy systems that allows it to provide dispatchable demand response by powering down furnaces during peak events. Imagine a large national supermarket retailer, plugged into demand response through cloud technology. When a grid emergency happens, steps could be taken at hundreds of locations to slightly reduce energy use, generating massive overall reductions and helping ensure the system stays in balance. That is part of the vision for the project run by EnergyAustralia, one of Australia’s largest energy retailers and generators, with around 2.6 million residential, small business, commercial and industrial customers. EnergyAustralia will trial activities with residential, small business, retail, commercial, and industrial customers and will use a variety of methods including shifting of heating and cooling energy consumption and the use of incentive programs to encourage users to reduce energy consumption during peak times. The program will feature a range of measures including behavioural change elements, automatic curtailment using technical devices such as Wattwatchers and coordination of a virtual power plant of battery storage located at homes and businesses of customers. READ MORE: ADAM MORTON’S EXPLAINER: WHAT IS DEMAND RESPONSE? Flow Power promises to give Australian industry access to the wholesale electricity market. This project involves the rollout of technology called the Watch Intelligent Controller. It will eventually deliver 20 MW of demand response from large commercial and industrial customers through installing k-Watch. The controller has been designed and manufactured by Flow Power. It provides live data feeds about energy use as well as linking with SMS and email alerts. Participating groups will include commercial and industrial customers. The program will roll out kWatch units across 95 customer sites over the next three years and then provide availability and activation payments where appropriate. Flow Power’s demand response project uses the company’s kWatch technology to monitor and control power use. IMAGE: Flow Power. If you’re looking to reach a lot of energy users, AGL is a good place to start. The company provides gas, electricity, solar PV and related products and services to more than 3.6 million customer accounts across Australia. 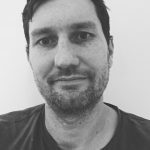 Created by Zen Ecosystems and using its Zen Thermostat, this project will deploy a network of “smart” connected thermostats across Victoria and South Australia to aggregate and control heating and cooling within commercial and residential buildings. Zen is an Australian company that has trialled this approach with great success in the United States, where it has been a leader in demand response. It has shown that automated control of commercial heating and cooling can be a really effective way of reducing peak loads on an energy network. ZenHQ has has shown energy savings in the US of between 10- 30%, partnering with large commercial brands in the retail, hotels and fast food industries. This project will deliver 15 MW of savings through controllable thermostats in the commercial and residential customer segments. The residential customers will participate via a combination of direct load control and a behavioural demand response program. The Zen Thermostat is a crucial part of Zen Ecosystems’ demand response project. IMAGE: Zen Ecosystems. Owned and operated by Meridian Energy, Powershop powers more than 100,000 homes and businesses across Victoria, NSW and Queensland. Powershop is Australia’s only electricity retailer to be certified 100% carbon neutral. The company’s “Curb your Power” project relies on behaviour change and a monitoring smartphone app to allow customers to limit energy use when advised by the company that a demand response event has begun. AEMO will inform Powershop when this occurs. 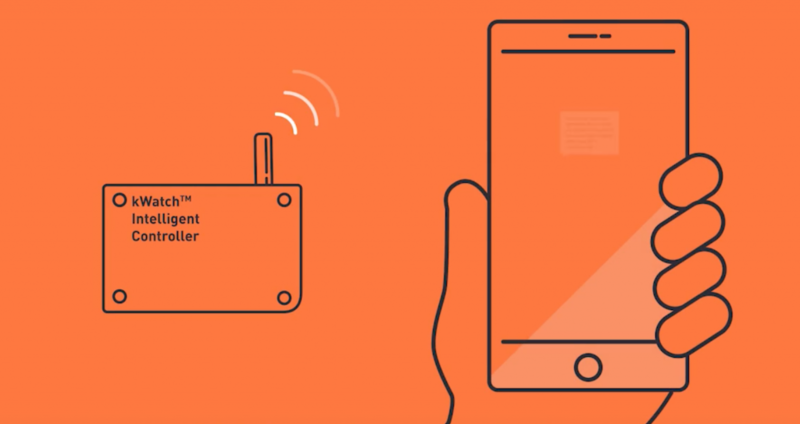 Through the mobile app, customers will be prompted to curtail their electricity usage and will later be rewarded. For reducing energy usage over a 1 – 4 hour period, a customer may receive the equivalent of a weekend’s free electricity. 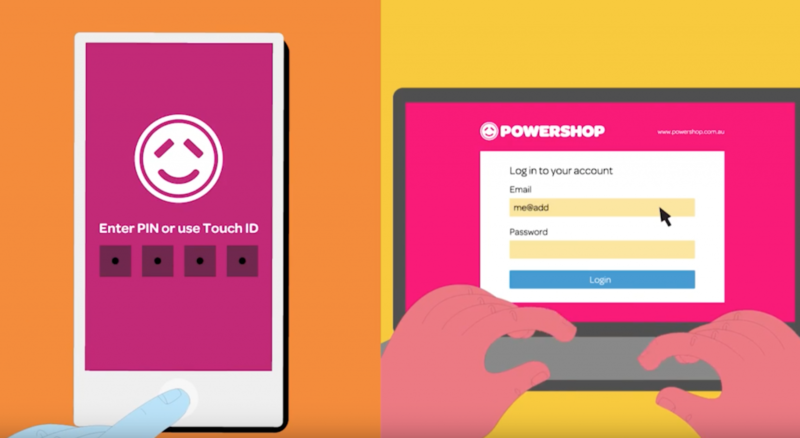 Boutique energy retailer Powershop’s demand response project features the company’s bespoke app. IMAGE: Powershop.